We are still doubling the veteran’s discount all day today! 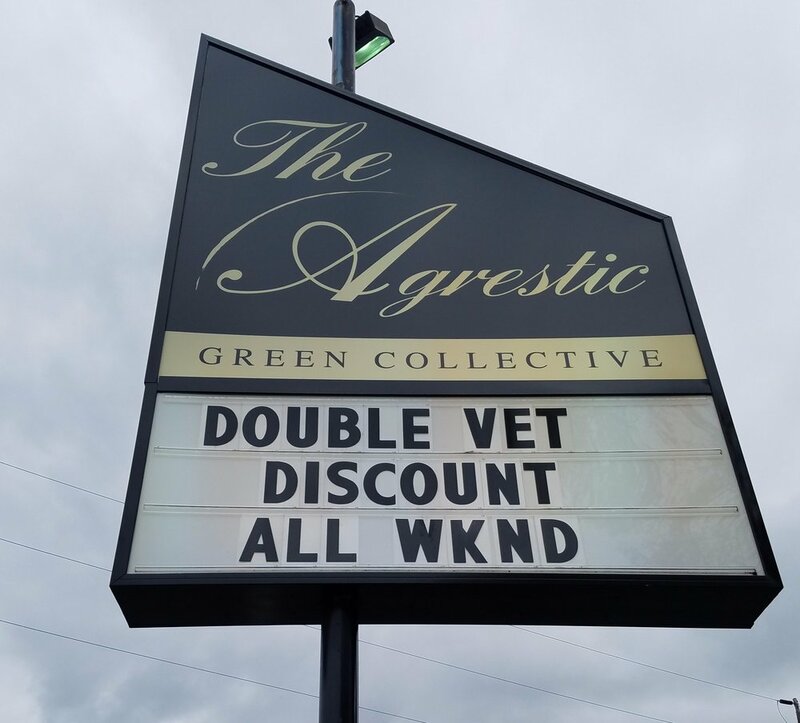 All year round The Agrestic has a 10% off discount for veterans, and in recognition of Veteran's Day we’ve doubled it to 20% for the entire weekend. At North today our Deal of the Day is Cindy 99! Cindy 99 is a Sativa hybrid strain grown by Workingman’s Bud. Cindy 99 is reduced today from R $13.20 / M $11 to R $12 / M $10. Cindy 99 tests at 15.1% THC. At South today our Deal of the Day is Sour Banana Sherb.! Sour Banana Sherb. is a 50/50 hybrid strain grown by Cascade Valley Cannabis. Sour Banana Sherb. is reduced today from R $12 / M $10 to R $10.80 / M $9. Sour Banana Sherb. tests at 18.0% THC. We have also introduced our rolling service to our South location! You can now buy any of the flower we sell by weight at either location, and have it rolled up by our staff. We do up to three pre-rolls per day in either half or whole gram sizes.